This is the second possibility I was talking about. Wave  may have finished in September. 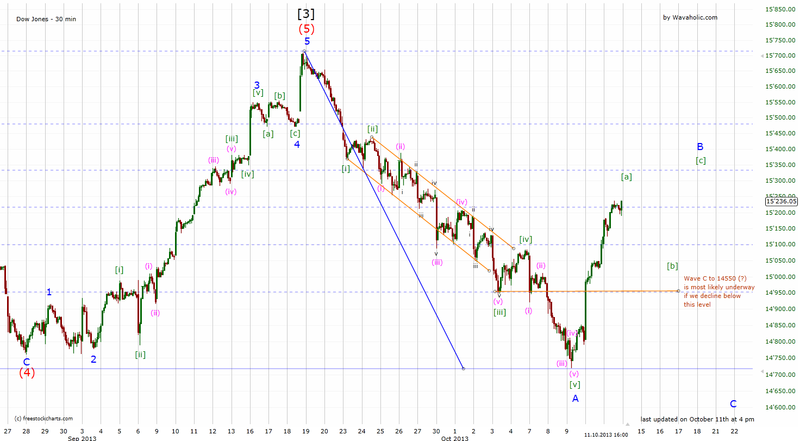 If so, we're now in wave  which could last several months. After that, wave  would follow sometime next year. The Dow has already reached my second target for wave B. The next target is at 15370. If we decline below 14950, I'm bearish again and the preferred target for wave C would be 14550ish. 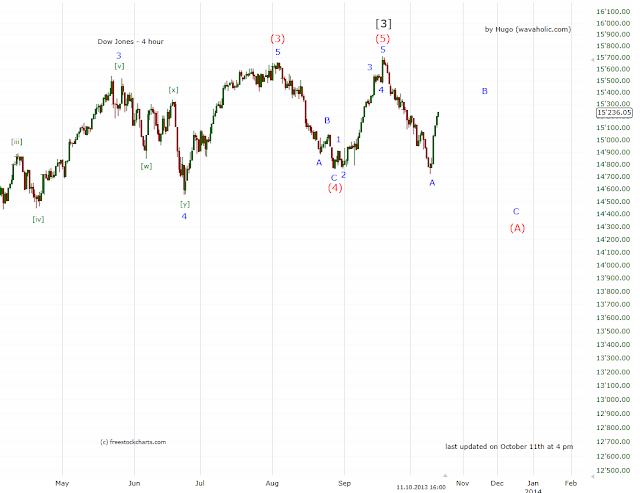 For the first scenario click here (shown on the SPX). I think, I slightly prefer the first scenario, i. e. I think the correction will end rather soon. However, anything can happen, so let's see how the market reacts next week.